T-straps was the most popular shoe style of the roaring twenties, but it was not the only shoe style available. Women just loved to show off their feet in the 1920s. Having been hidden in boots and under long dresses for centuries, the foot was now something to be seen. Lace up boots were still being worn by mature women and young children as well as in winter weather. The slip-on pump was a classic option but now had large buckles, a throwback look from the 18th century. For outings requiring heavy walking the Oxford was the favorite shoe style. A lowe heel canvas or leather Mary Jane was the closest thing to a flat shoe, usually worn at home or for summertime play at the beach. The single strap across the vamp, called a Mary Jane, was the most popular shoe of the roaring twenties. They came in leather for day wear, white canvas for summer, and matching fabrics for formal wear. One trend for evening wear was to decorate the heels with rhinestones or metal sequins or paint them a contrasting sparkling color like gold. Instead of a strap, some mary shoes had eyelets on either side and a ribbon strung through and tied in a pretty bow at the top. The Mary Jane shoe is the easiest shoe to find today because they never went out of style. 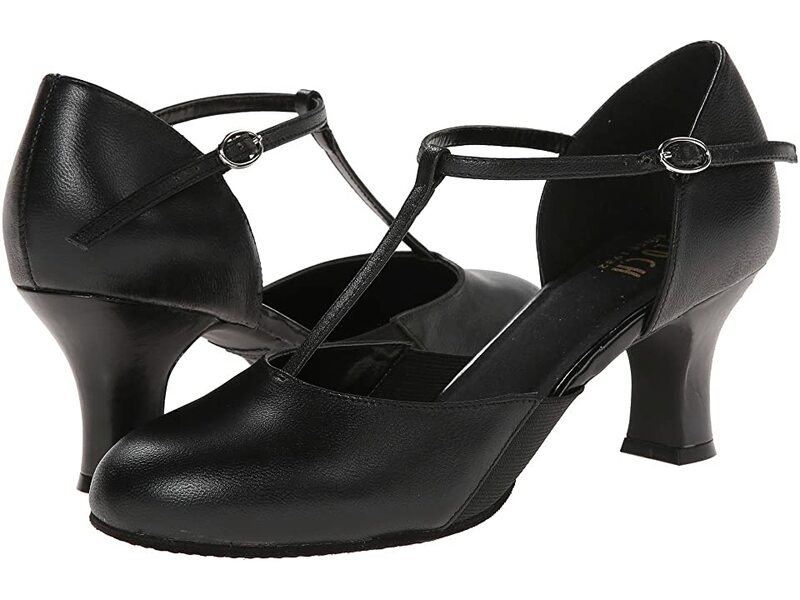 Dance shoes were usually Mary Jane or T-Strap shoes. 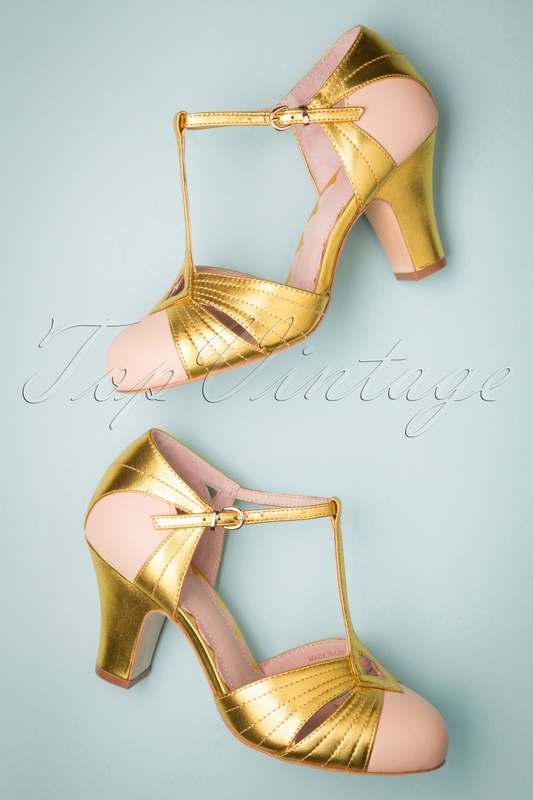 The straps kept the shoe on comfortably during vigorous Charleston dancing. A good pair of stockings were essential to coordinate with shoes. Double, triple and criss-cross straps had been a popular style of ladies shoes for at least the last 50 years. Like T-straps, they were rather plain and hidden under clothing in the early 1900s, but now the fancier the straps the better! Straps closed with small sparkling buckles or self fabric buttons. Some shoes combined the T-strap, ankle strap and multi straps into one shoe! Currently, multi-strap shoes are experiencing a fashion comeback. 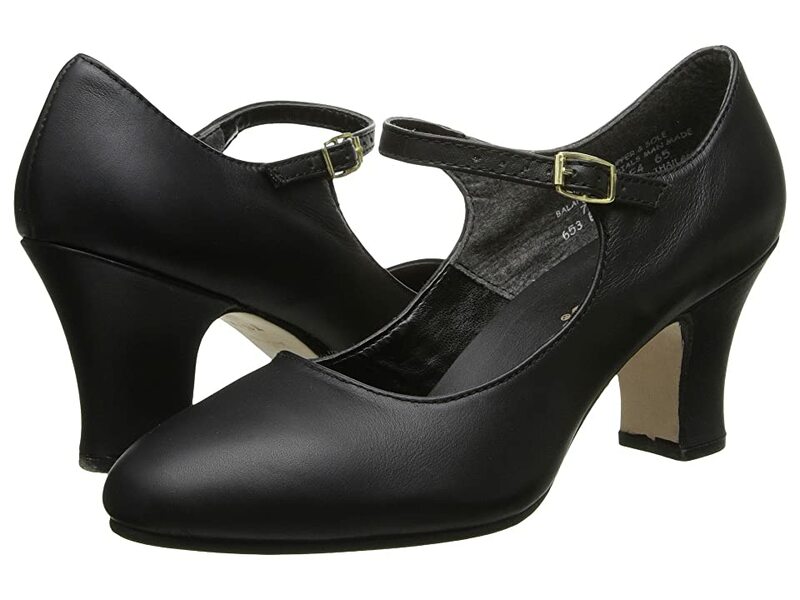 A single ankle strap was added to some T-straps or Mary Jane shoes for extra security (especially dancing shoes), but eventually, it gave way to just the ankle strap alone. The T-strap allowed the shoe to stay on snug while also showing off as much skin (errr stockings) as possible. Straps in the early ’20s were thick with minimal decoration. As the decade progressed, straps became thinner, covered in precious stones or metal sequins and/or shaped into geometric designs. Cutouts on the sides, toes and straps added even more skin exposure and more places for geometric “Art Deco” shapes to form. Colors also grew from basic, black, brown, and white into silk and satin dyed colors that did not necessarily match evening dresses. Many women hand-painted shoe heels in swirls of gold, silver, red, and blue and into Asian or Greek motifs. Watch out world, color was roaring into fashion! The no strap low heel pump was the shoe that surprised me the most. I didn’t think pumps were common until the ’50s, but I was wrong. 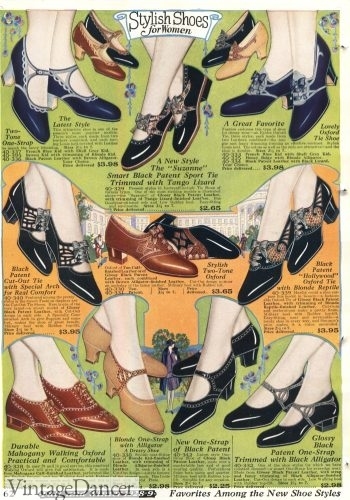 Many twenties pictures and catalogs featured the basic pump shoe. I wonder if women felt a little less secure in them (I know I do), which made them less popular than strappier versions? What the pump lacked in heel height, it made up for in materials. Animal and reptile skins decorated shoe trim, toes and vamps. Embossed or hand-carved Egyptian designs were a fun splash on leather shoes. In summer, white canvas shoes were the thing to wear, often with flat bows on the vamp like the picture above. Colonial pumps were one variation of early 1920s pumps that is very unique. The tongue of the shoe is large. 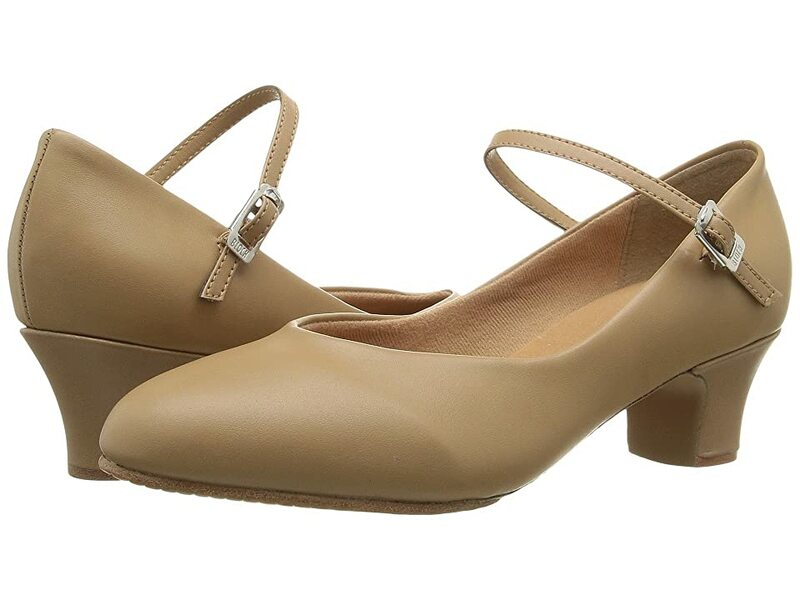 The shapes are inspired by court shoes of the 18th century, hence the name Colonial shoes. Some pumps came in rich fabrics like velvet or satin with elaborately embroidered tongues. Many had buckles across the tongue, too. I wish these were easier to find today- they are so beautiful and unexpected when worn with a ‘20s dress. Not all shoes in the 1920s were fancy heels. Wome had a choice of casual shoes for daily wear around the house, running errands, traveling and playing in summer. 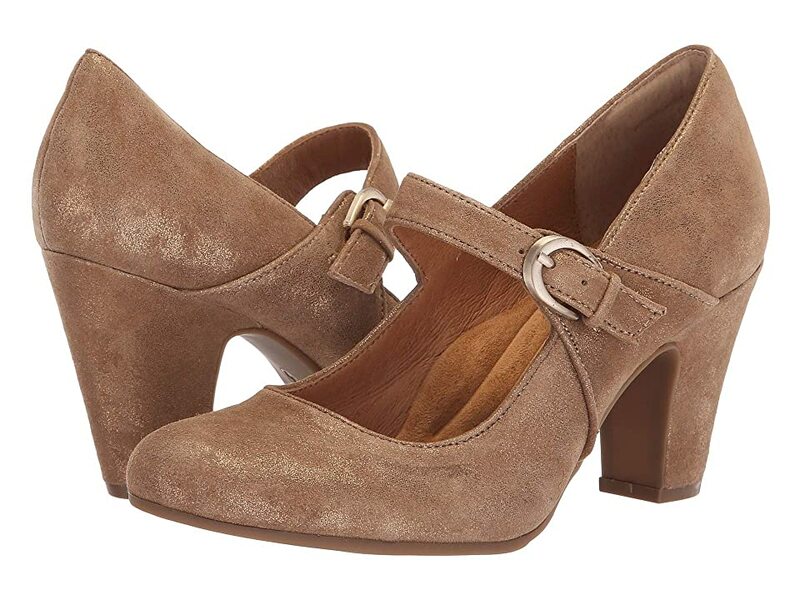 At first glance, they look just as formal as heels but in the 20s these were considered casual. Heel heights lowered, straps thickened, and colors were more diverse than the fancy types. The sturdy lace up Oxford shoe was your everyday house and walking shoe of the 1920s. They became even more popular in the 1930s when the trend was for practicality rather than ornate beauty. 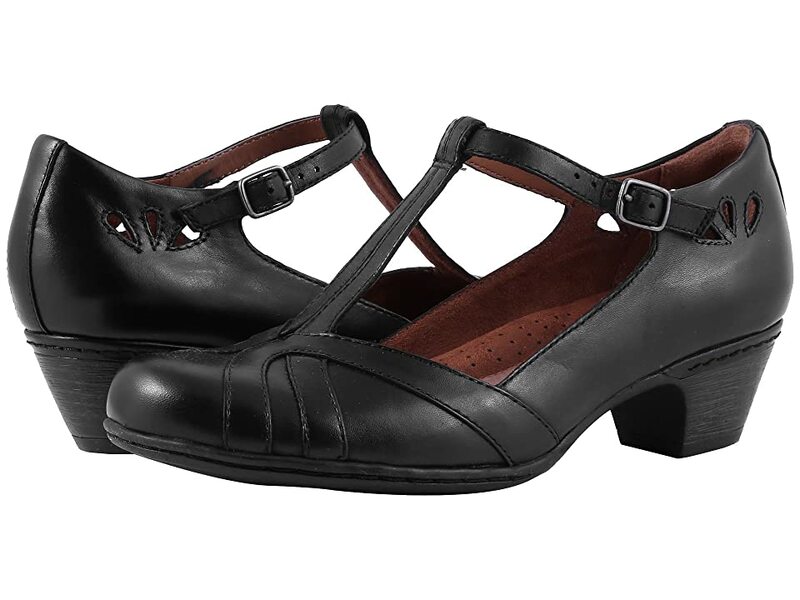 The ’20s Oxford was usually plain smooth leather with a cap toe and thick 1 to 1 and 3/4 inch military heel. The slimmer 2 inch Louis heel was still common in the early ’20s. Some Oxfords started to feature the new rubber heel, which made them more comfortable walking shoes. 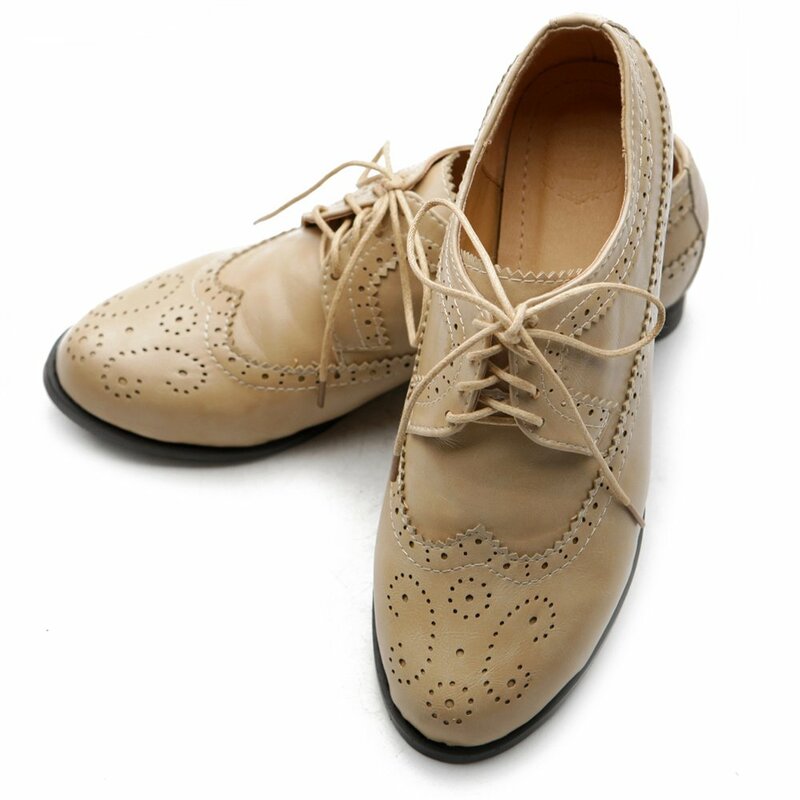 The sportier version of the Oxford shoe was made in two colors such as brown and white, black and white, brown and fawn (tan) or grey and white. In summer, the white leather could be replaced by white canvas with patent leather trim or even the whole shoe in two tones of canvas. As the decade progressed, the two toned Oxford became more and more ornate. Instead of blocks of color like the saddle shoe, the dark color trimmed the shoe in swirls all over. Laces also contrasted with the trim. The shoes on the right have white laces against the black trim. One specific pattern of two-tone Oxford shoe was the saddle shoe although it wasn’t called a saddle shoe until the 1930s. 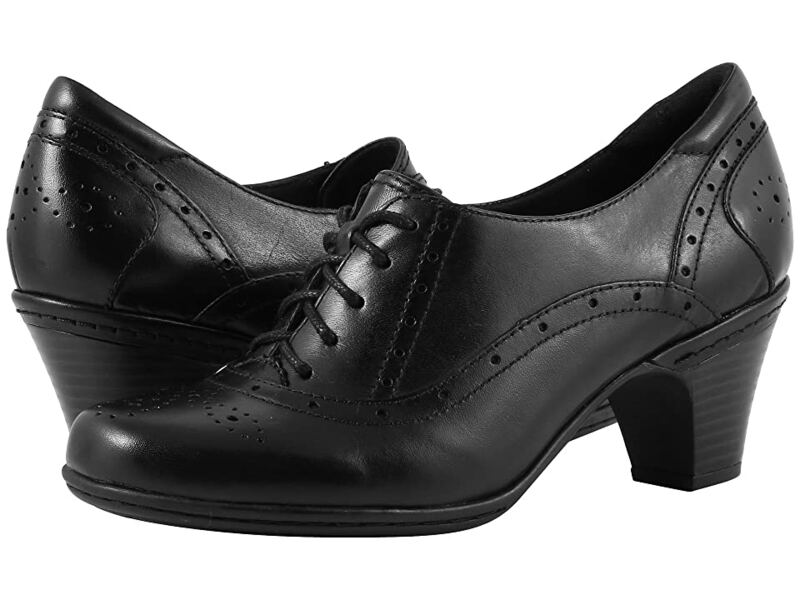 It was a very low heeled, thick-soled, lace up Oxford made of sturdy calfskin leather. The center “saddle” panel was dark while the toe and heel were white. 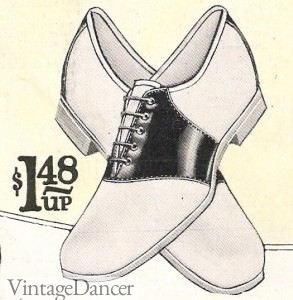 Brown and white or grey and white were the most trendy colors, but black and white saddle shoes were available, too. In the late ’20s the center dark panel turned into polka dots, plaid, checks, or paisley prints. Small cutouts or brogue patterns on the toe or seams made them even wilder. Saddle shoes became the required shoe of many school uniforms for both boys and girls. Women liked to wear them, too, with their new sporty looks that went with girl’s middy shirts and pleated skirts too. Youth was in! The tennis shoe or sneaker started to get its place in the 1920s. Flat lace-up canvas shoes such as Keds were popular with women athletes in white and brown canvas. Men had their versions, too, in white and black. Women played more sports for leisure or at least dressed as if they did. A pair of canvas tennis shoes were perfectly fashionable for a picnic in the country. Besides the full lace up tennis shoe, canvas tennis sandals were common in the late 1920s. 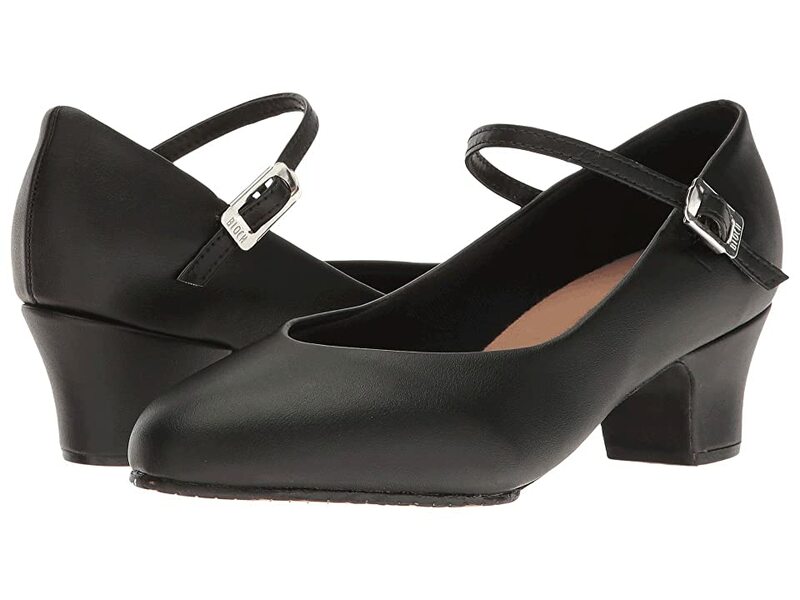 They had a short rubber heel and a single Mary Jane strap with a button or a X cross strap that buttoned on each side. A flat bow on the vamp gave them a feminine look. White was the prettiest color, while brown or black was more durable. Prior to the 20s, women mostly worn lace-up boots. They were still worn by mature women who could not get using to wearing anything else. Boots were also the best shoe for winter or outdoor labor conditions. Boots typically had a chunky low heel, pointed or squared cap toe, and laces and hooks that drew up to mid calf. Some were a bit shorter and others, such as those for hiking laced up to almost the knee. Read more about the history of winter boots and shoes here. Did you ever wonder where the name “flapper” from? One popular theory is from the “flap flap flap” sound that unbuckled galoshes made when teens walked. Galoshes or overshoes were worn over nice walking Oxfords and heels. They had thick rubber bottoms and rubber sides or oil coated fabric to keep wetness out. They had 4 large buckles across the front. They were supposed to be buttoned or buckled over the shoes, but it was simply too much fun to leave them unbuckled and folded over into half boots. Bedroom slippers, like house dresses and lingerie, were more colorful than day or evening shoes. Vivid pink, blue, red, purple, teal, yellow, black or orange. They had a tiny heel, softly pointed toe, and often came with a fuzzy pom pom on top. Some slippers had slightly higher curved heels. Made of silk, satin, velvet or soft sheepskin leather they were just what a woman needed after a full day on her feet. I am so happy I found this!! Amazing work, definitely bookmarking for future reference 😀 Thank you! Thank you for your continued education on all things vintage, I am a big fan. Regards Lee-Anne Freeman Art Deco Napier NZ. Thank you Lee-Anne! I am so glad my research can be helpful to you. If there is a topic you want to know more about just let me know and I will see what I can research and share.